Arunachal Pradesh is a state of India. Located in northeast India, Arunachal Pradesh borders the states of Assam and Nagaland to the south, and shares international borders with Bhutan in the west, Myanmar in the east and the People's Republic of China (PRC) in the north. 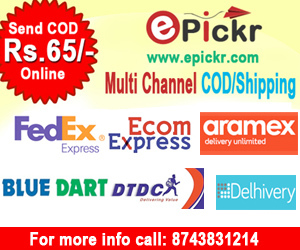 Itanagar is the capital of the state. The northern border of Arunachal Pradesh follows the McMahon Line, a border delineated in the Simla Accord that was signed by the United Kingdom and Tibet in 1914 but not by China (as Tibet was not Chinese-controlled at that time). Both the People's Republic of China and the Republic of China (Taiwan) claim the northern portion of Arunachal Pradesh as South Tibet. Arunachal Pradesh means "land of the dawn-lit mountains".Literally it means "land of the rising sun" (Sanskrit: Arun: Sun, Pradesh: state, province or region) in reference to its position as the easternmost state of India. It is also known as the "Orchid State of India" and the "Paradise of the Botanists".It is the biggest among the group of eastern states which are commonly known as Seven Sisters. Like other parts of Northeast India, a majority of the people native to the state are of Tibeto-Burman origin. A large and increasing number of migrants have reached Arunachal Pradesh from many other parts of India, although no reliable population count of the migrant population has been conducted, and percentage estimates of total population accordingly vary widely. Arunachal Pradesh has the largest number of regional languages among Indian states. Arunachal Pradesh is a state of India. It is part of what are called the Seven Sister States of the Northeast of India. 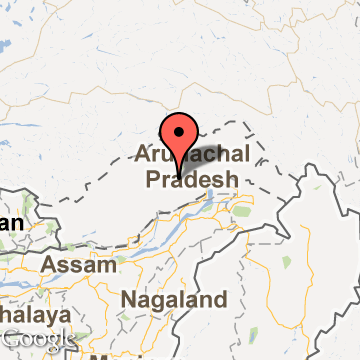 Arunachal Pradesh borders the state of Assam to the south and Nagaland to the south east. Myanmar lies to the east of the state, Bhutan to the west, while the McMahon Line separates it from the zone of control of the People's Republic of China to the north. Itanagar is the capital of the state. "Arunachal Pradesh" means "land of the dawn-lit mountains" or "land of the rising sun". Arunachal Pradesh ,one of the most sparsely populated states of India, covers an area of 83743 sq. Kms. This region acquired an independent political status in January 20, 1972, when it was declared as Union Territory under the name of Arunachal Pradesh. The state of Arunachal Pradesh Bill was passed by the Parliament in 1986 and with effect from February 20, 1987 Arunachal Pradesh became the 24th state of Indian Union. Arunachal Pradesh is a thinly populated hilly tract laying roughly between the latitude 26° 28'N and 29° 30'N and longitudes 91° 0'E and 96° 30'E on the north-east extremity of India comprising roughly 83,573 kilometer square of area.